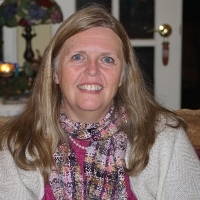 Marina has been a member of Grace Church since 1995, and was hired as Volunteers Coordinator in 2008. She is currently the Church Administrator, and loves the job, but her not-so-secret passion is directing the annual summer camp musicals for children and youth. As head of the Performing Arts Ministry, Marina stages concerts, skits and other entertainment for the community in order to raise awareness and money for Grace ministries such as Grace Diner, Habitat for Humanity builds, and Youth programs.